The SIP-T46S IP phone is the ultimate communications tool for busy executives and professionals. This device has a fast interface with a rich, high-resolution colour display. 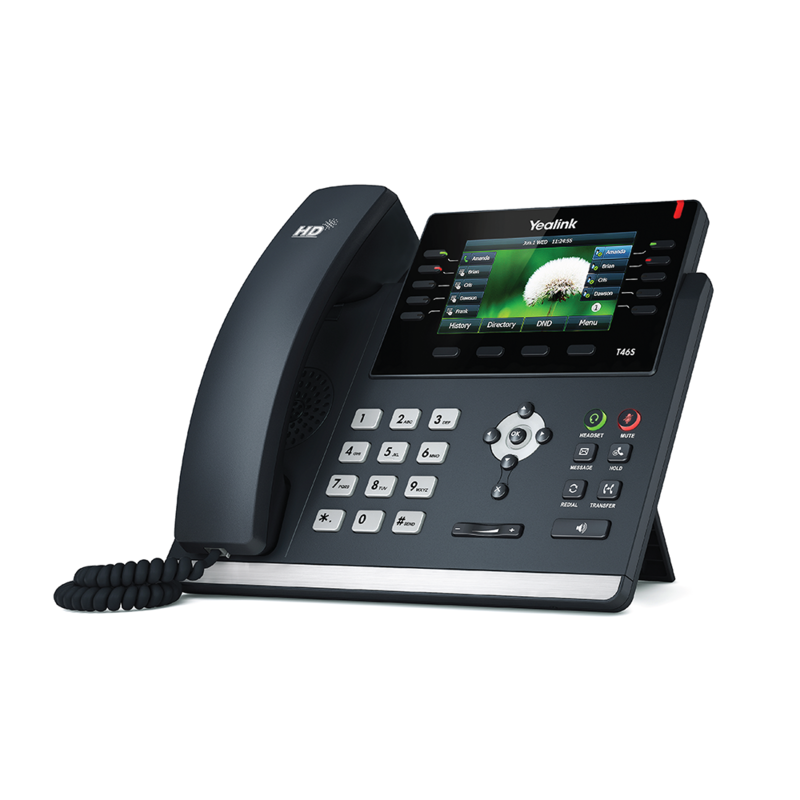 Built with Yealink Optima HD technology, the Yealink SIP-T46S enables crystal clear communications. The SIP-T46S is also built with Gigabit Ethernet technology, for rapid call handling and use with accessories like a Bluetooth USB dongle. Up to 16 SIP accounts. 10 line keys with LED. 10 line keys can be programmed up to 27 various features (3-page view). 7 feature keys: message, headset, hold, mute, transfer, redial, hands-free speakerphone. Call history: dialled, received, missed and forwarded. Local phonebook up to 1000 entries. Stand with 2 adjustable angles. 3″ 480 x 272-pixel colour display with backlight. Support for OPTIONAL bluetooth headset. Simple, flexible and secure auto-provisioning.